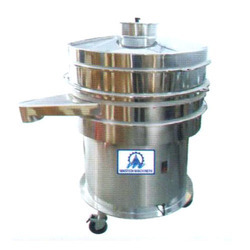 Exporter of a wide range of products which include high speed shifter machine, high speed vibro sifter machine, mini sifter machine and sieving machine. Backed by our rich industry experience, we are engaged in offering a wide range of High Speed Shifter Machine. Offered range is manufactured using best quality equipments and parts so that there is no compromise in the quality. These product are highly appreciated among the clients for its better quality and performance. Being one of the reputed names of the field, we are involved in proffering High Speed Vibro Sifter Machine. Offered in a varied range of models, these supreme functionality machines are applauded for their consistent operation, magnificent capacity and powerful performance. Owing to the speedy operation, these efficient machines are vastly desired in the industries. 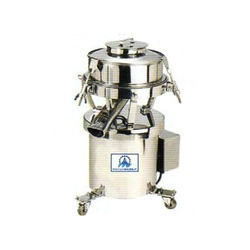 Mastech Machinery is one of the leading names of the market that involves in proffering Mini Sifter Machine that is made available in multiple specifications to meet the diverse client needs. Owing to the tough construction, longer operational life and magnificent output rate, these efficient machines are vastly asked for. The proffered series is provided at budget friendly rates. Owing to the rich industry experience, we are manufacturing, exporting and supplying a wide collection of Sieving Machine that have a portable and compact design small volume sieving. These are widely used in the industry due to their noiseless and maintenance free operation. Moreover, our clients can avail these at leading market prices.